THE PICKIEST EATER IN THE WORLD: IPPUDO RAMEN'S NEW GYOKAI TONKOTSU AND MORE! Since Ippudo was the first of two restaurants I was visiting that day, I opted to try just one of the new Ramen Sidekicks (#FoodBloggerProblems), which was to the surprise of my friends, the Okonomiyaki. Ippudo's pimped up version of the Japanese Classic still follows the traditional Cabbage mixed with, Flour, eggs and yam. 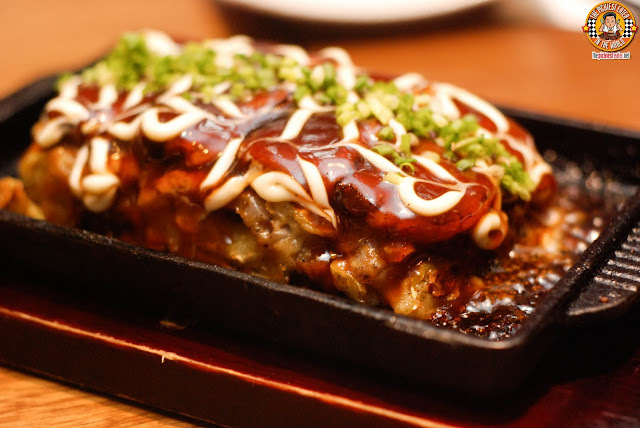 However, it adds a Black Konnyaku (Yam Cake) bed, and topped with delicious chunks of Chasu, then doused in a luscious Otafuku sauce and a drizzling of Japanese Mayonnaise. 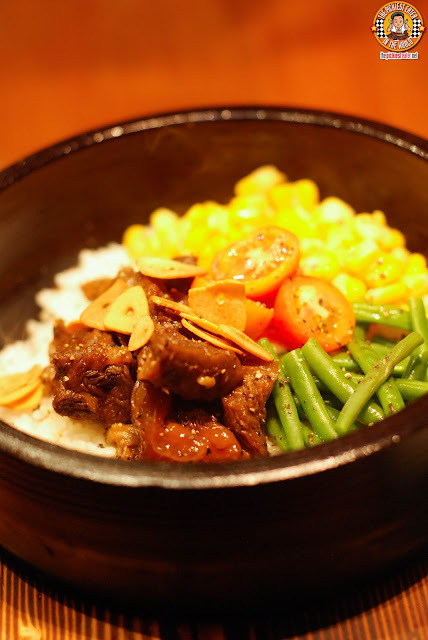 Something that left me kicking myself for not trying it earlier was the Beef Ishiyaki Rice (P495). 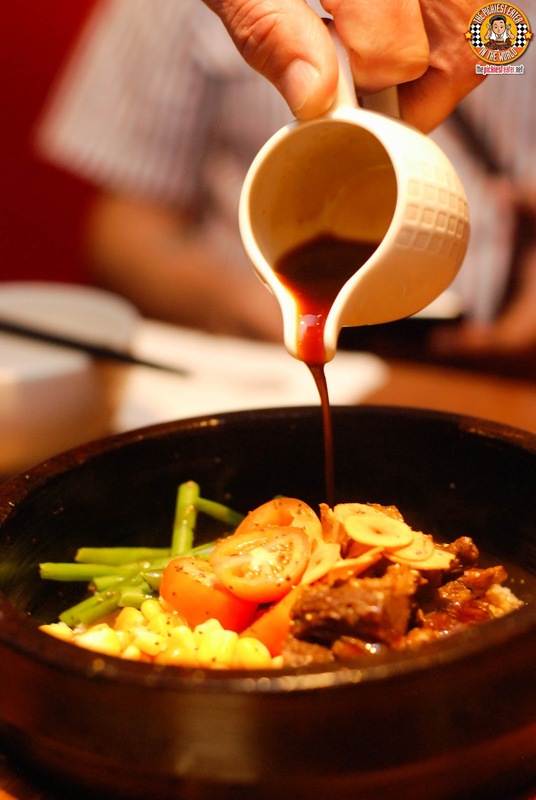 Cuts of Stewed Beef sprinkled with toasted Garlic Chips, centered in a Hot Stone Bowl, on a bed of steaming Japanese rice. nestled beside a pile of buttered corn, French Beans and Cherry Tomatoes. Yakiniku sauce is poured into the bowl, and when you mix the rice into the stone bowl, it creates a crust (aka "Tutong") that you won't be able to resist. Word of advice? Try to push all the rice to the side so that you get more tutong! 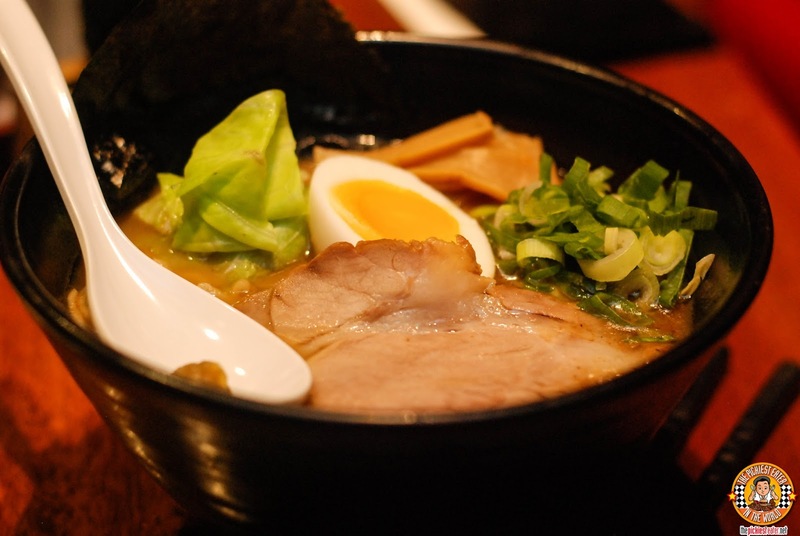 The Gyokai Tonkotsu is the newest addition to Ippudo's line, albeit for a limited time only. The first thing you'll notice is the smokey flavor of Bonito that swarms your senses, both through its aroma and taste. 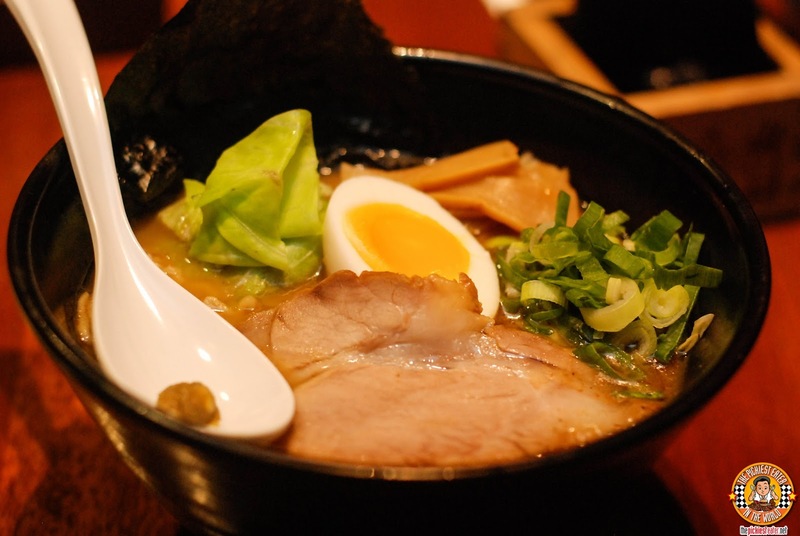 The soup is given a gentle savoriness with though its incredibly tasty chicken broth, and the delicious chashu slice. The Gyokai Tonkotsu uses thick and wavy noodles, giving it a different touch of texture than the other Ramens in Ippudo's menu. 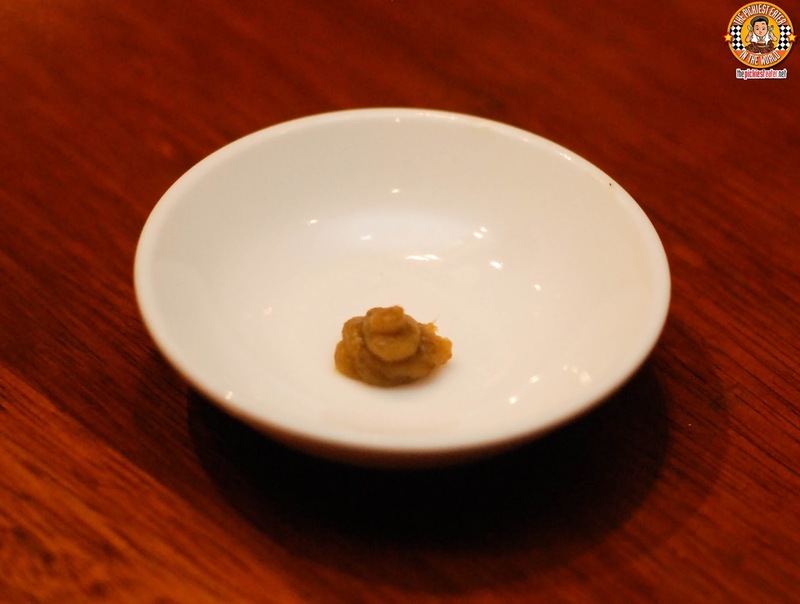 Depending on your threshold for heat, you may also choose to add dabs of Yuzukosyo Pepper into your Ramen, which will give the broth a spicy punch, while adding a citric zing to its flavor. Ippudo's new Gyokai Tonkotsu is a nice addition to an already impressive lineup of Ramen, and I'm always excited to see what they come up with next! I also can't wait to explore the other Ramen Sidekicks! Follow Ippudo Ramen Philippines on Facebook! Will try that next! Rina loves anything Matcha!